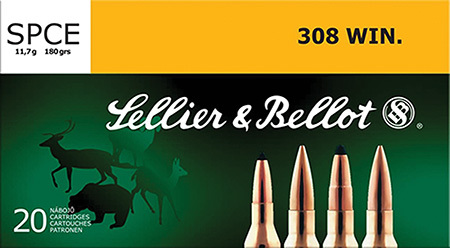 Sellier Bellot Ammunition has a semijacketed bullet with a Soft Point CutThrough Edge SPCE in the jacket which partially locks the lead core at the same time. The bullet effect depends on the target resistance. It gets deformed in light game to a lesser extent than in heavy game. It is appropriate for clawed game hunting.